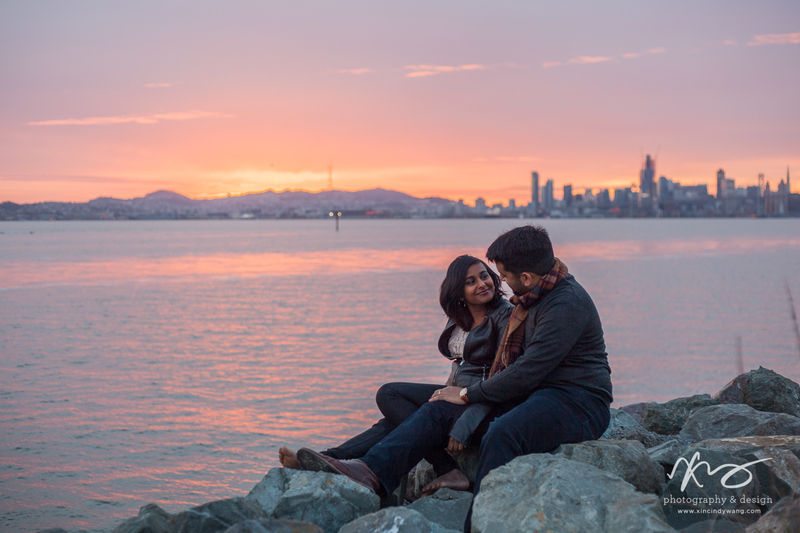 When I first met Divya and Ashi years and years ago, I was struck by how different they were. 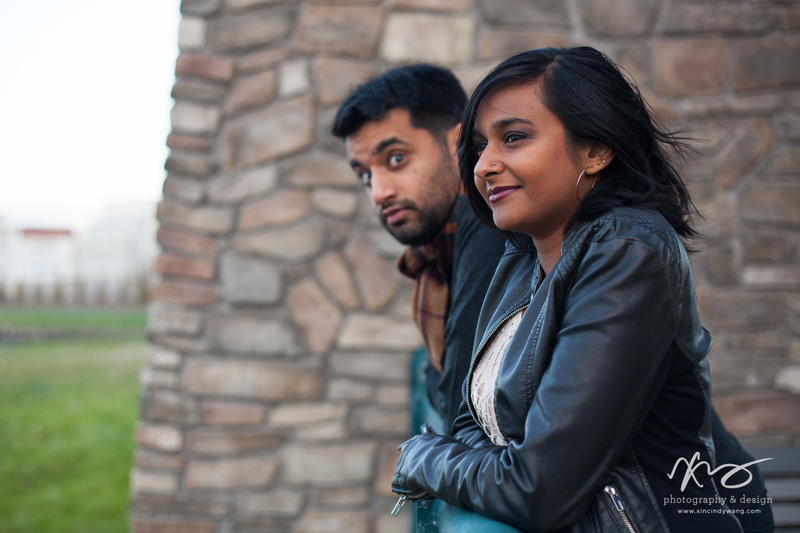 Divya was an assertive, socially engaged woman, working for a non-profit posing big questions about race and equality. 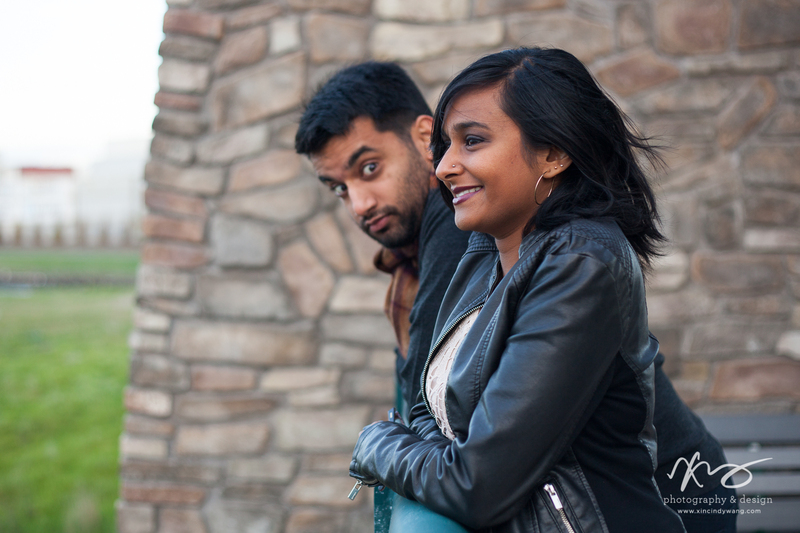 Ashi was much more nerdy and scientific, and a giant goofball – one of my first memories of him is of him wearing a pumpkin on his head. 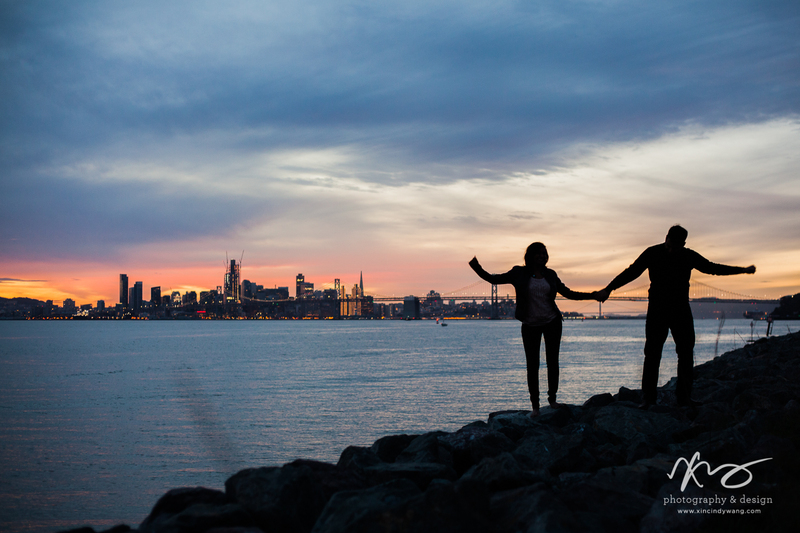 And yet they got along perfectly well, having known each other since high school, two friends that started dating in college who would never have guessed then that one day they would choose to be each other’s forevers. 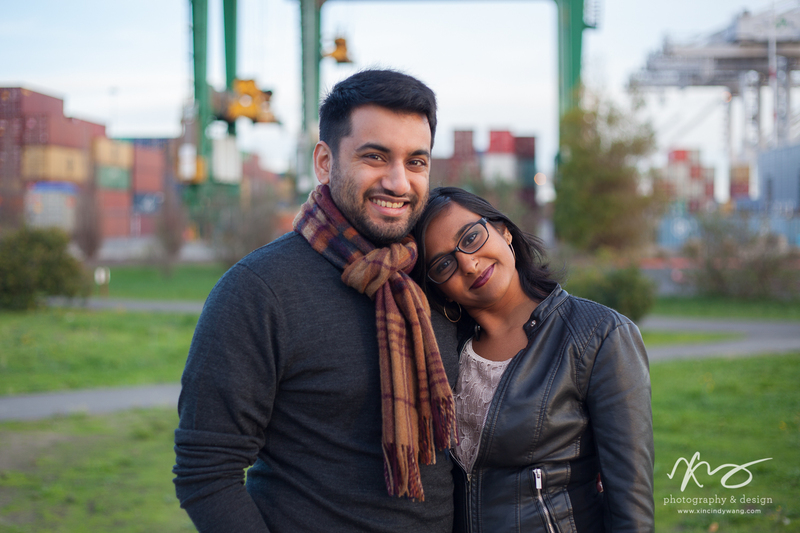 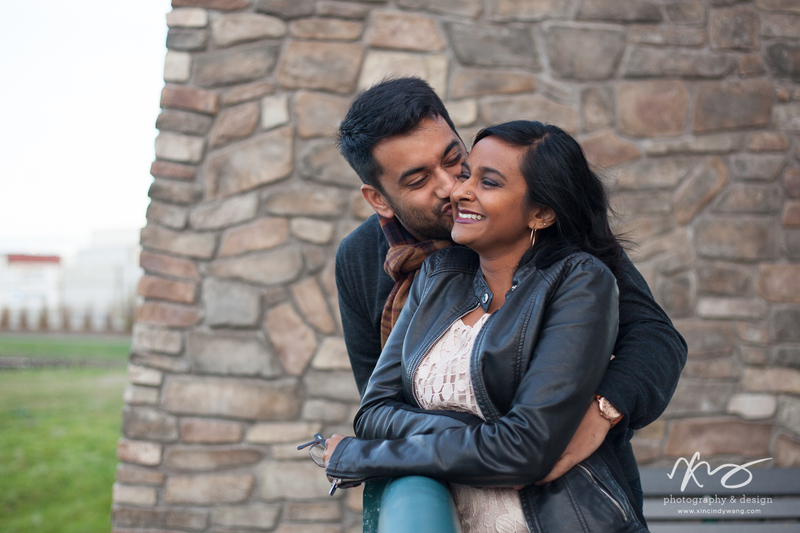 They’re still very different, but having lived with Divya for the past 5 years (give or take), I’ve had the privilege of watching them grow into each other. 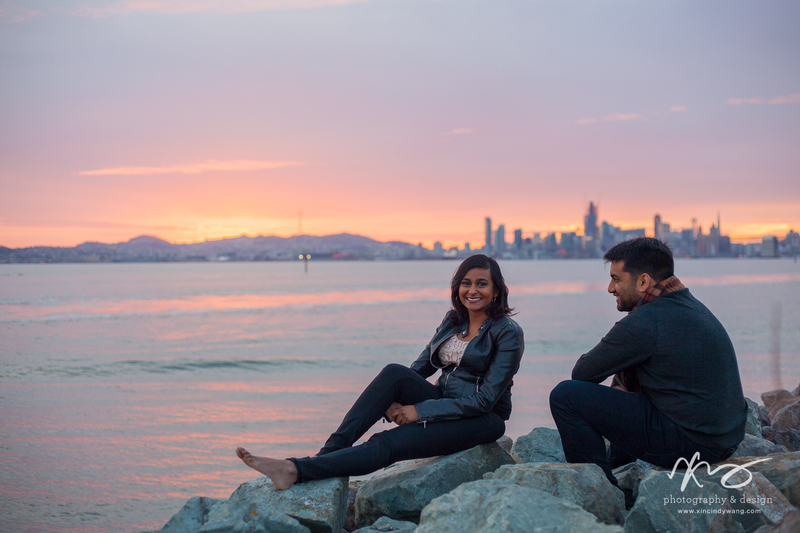 Divya has a carefree silliness that pervades her activist facade, while Ashi’s work in healthcare leaves him perpetually pondering questions of affordable care. 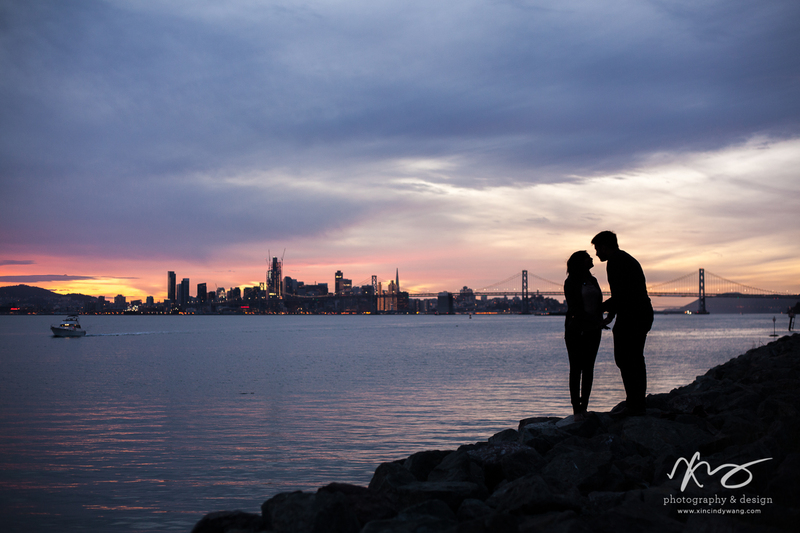 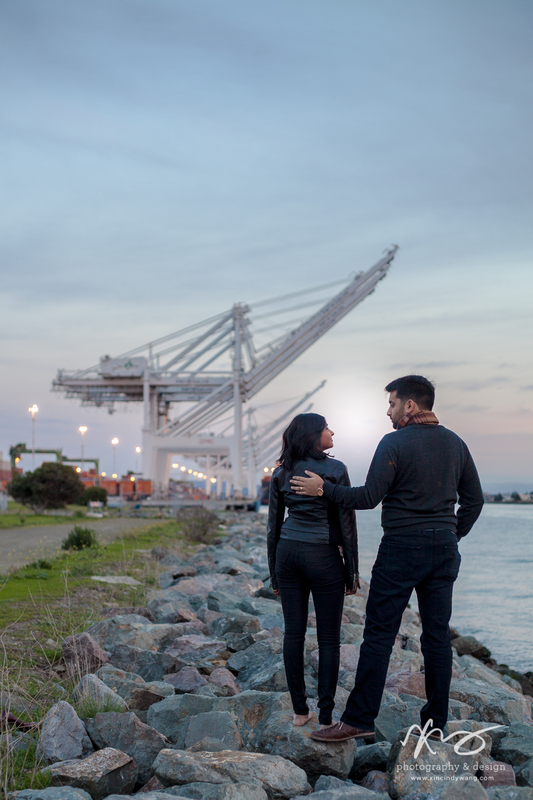 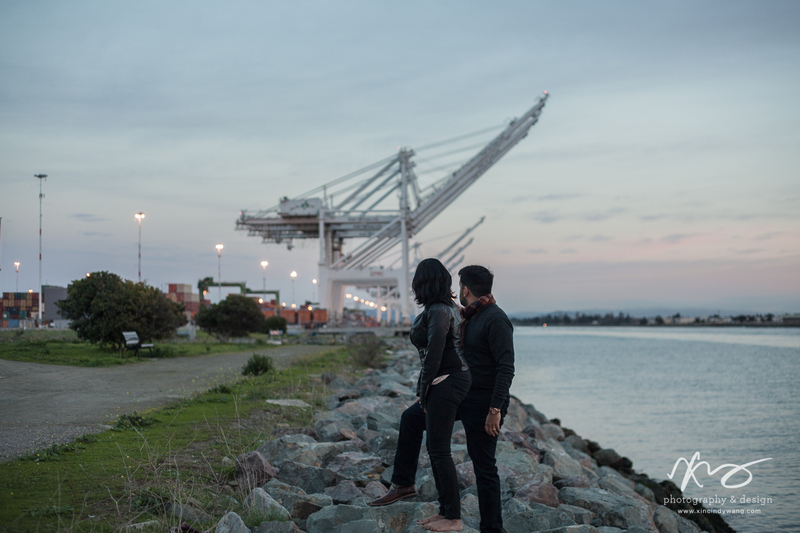 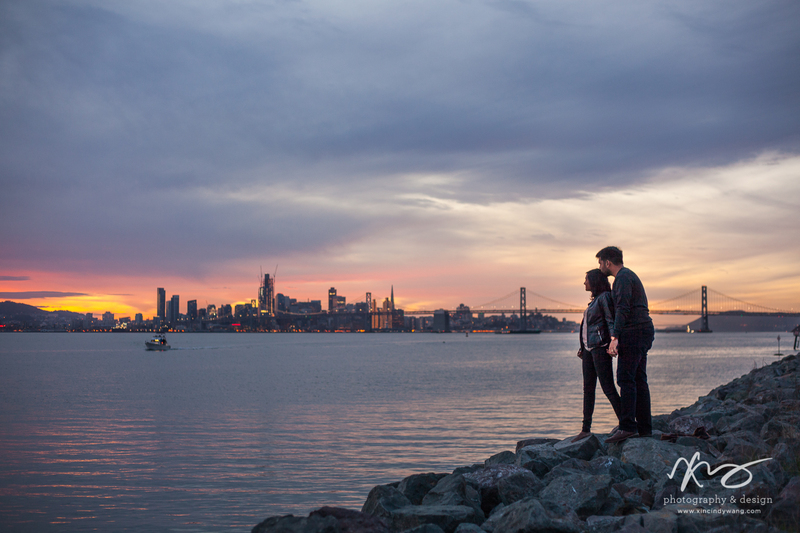 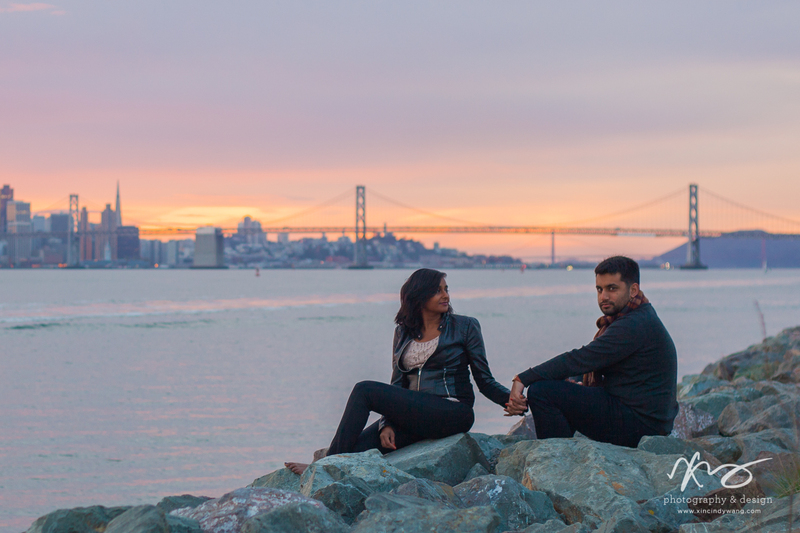 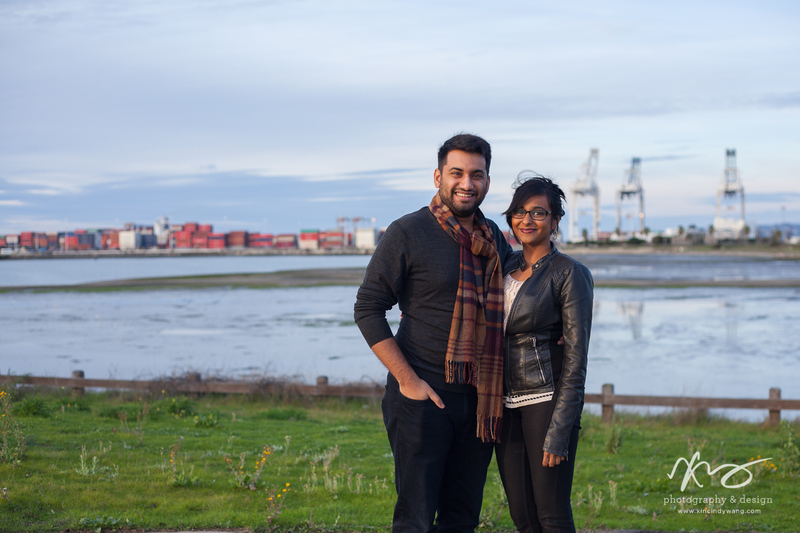 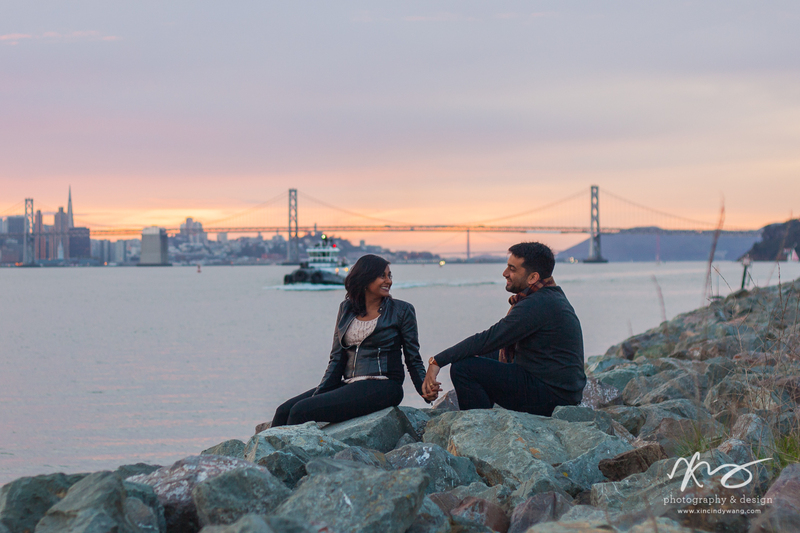 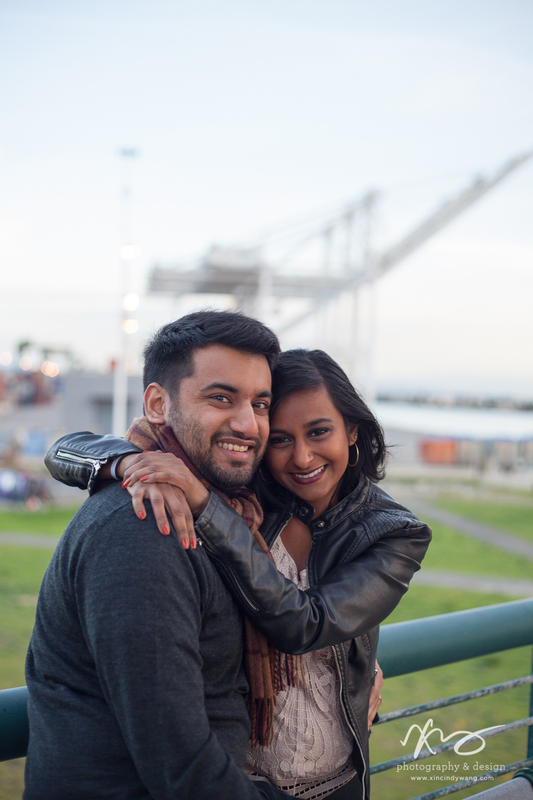 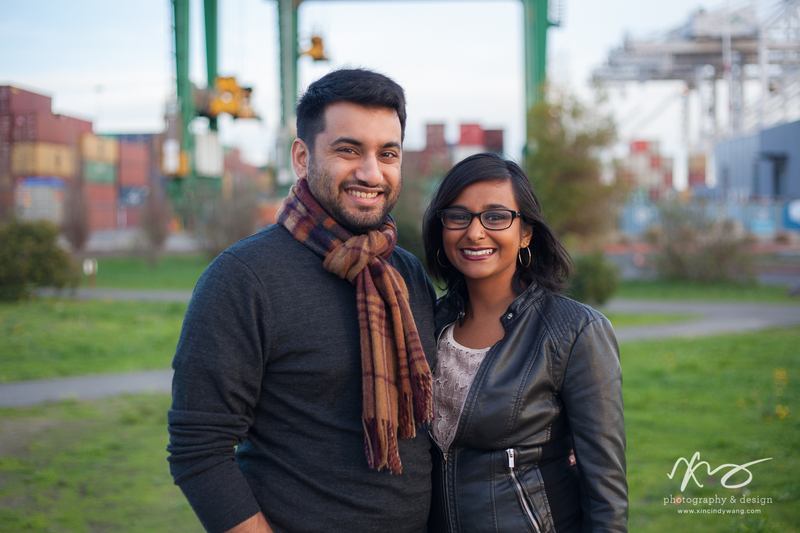 For their engagement photos, they wanted something a little edgy and industrial while paying homage to their home city of San Francisco – which brought us to Oakland’s Middle Shoreline Park, with giant portside cranes and shipping containers juxtaposed against a sweeping vista of the SF skyline.